Made from soft cotton jersey, the Nike Sportswear T-Shirt heads into the sunset with a graphic that's ideal for the season. SOFT COMFORT WITH SUMMER VIBES. 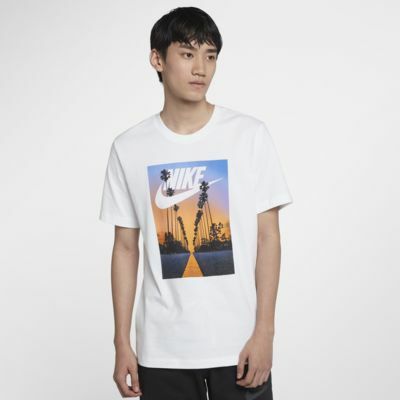 Made from soft cotton jersey, the Nike Sportswear T-Shirt heads into the sunset with a graphic that&apos;s ideal for the season.